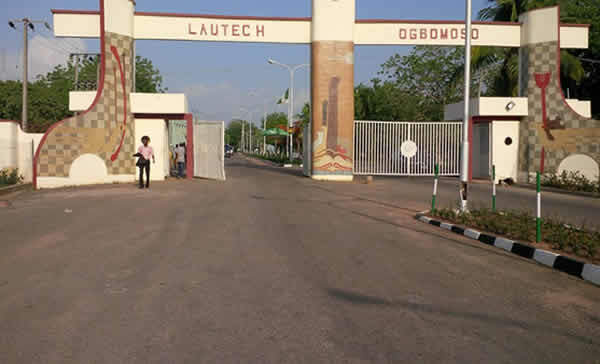 Ordinarily, we would have ignored Naijaloaded and its sponsors but for the sake of our admirers and stakeholders who are understandably bothered each time practitioners of gutter brand of journalism allowed themselves to be drafted into peddling unsavory information about LAUTECH. The truth remains that a certain group of students who are clearly in the minority wanted to start trouble in the aftermath of the students' union election which held peacefully on Tuesday June 13, 2018. The exercise held in the full glare of all students and security operatives and was pronounced, fair, transparent and conclusive. Though unrecognized by the University Management, four political groups: Liberal Vanguard (LV), The Group, Democratic Social Movement (DSM) and National Liberty Vanguard (NLV), participated in the election in which ten positions were contested for while the remaining three were declared unopposed. The electoral committee was chaired by Amao Akeem, a 500 Level student of Transport Management, who is a member of the NLV, the group that is now behind what is now being termed ‘fire’. He did not only sign the results sheets, including the three positions in which his group was returned unopposed, in the presence of other students and security agents, but went ahead to announce other results aside that of the President which his group lost to LV and insisted on having through the back door. It therefore came as a surprise to other students and workers of the University when on Wednesday, June 14, another member of the NLV, who had actually served as the immediate past Speaker of the Students’ Representative Council, Olatunbosun Adeoti, also a member of the NLV, a 500 Level student of Civil Engineering, led thugs carrying guns and machetes to foul peace by invading the office of the Acting Dean of Students’ Affairs, on the University Campus. Security reports had it that he had also laid ambushed along with other members of his group on the residence of the lecturer the previous night, threatening to kill him or any member of his family that comes to sight.